Tonya graduated from The Hypnosis Motivation Institute, with honors, August 2011. Completing over 800 hours in hypnosis and a 200 hour internship which qualified her for Certification as a Hypnotherapist by the Hypnotherapists Union Local 472, which is an affiliate of AFL/CIO. 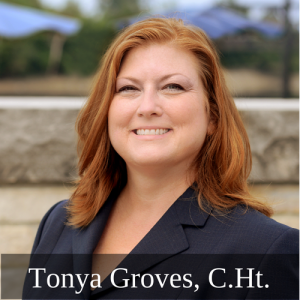 Tonya works with teens and adults to help achieve goals and wellness. Hypnosis can be used to help in school, sports, performance, health goals, basically all areas of one’s life can be aided with the power of the unconscious. Visit www.columbusohiohypnosis.com to learn more about Hypnotherapy in the Greater Columbus Area.